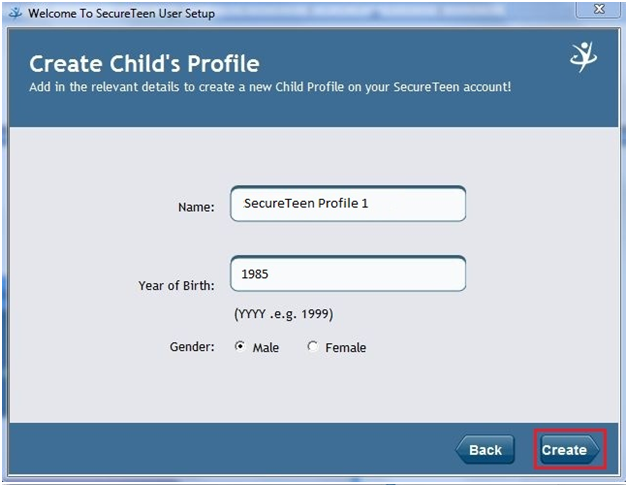 During Installation and device configuration, on 'Link Child' screen, there is a button labeled 'Create Child's Profile' to create a Child Profile. Here you need to provide your desired child name, birth year, and gender. After providing the information, hit the 'Create' button. 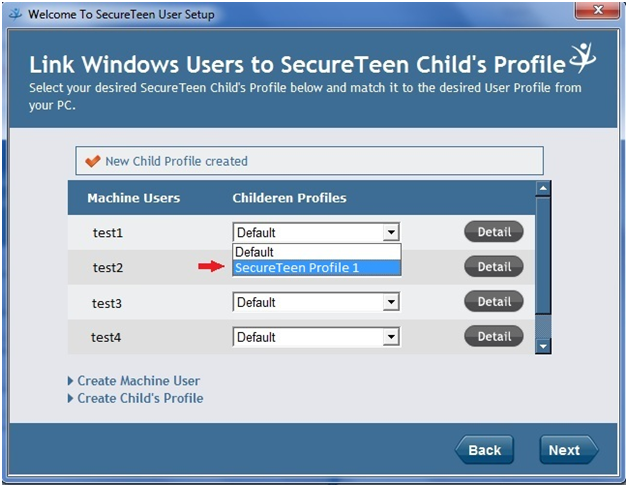 This will create a new child profile as shown in the figure below. 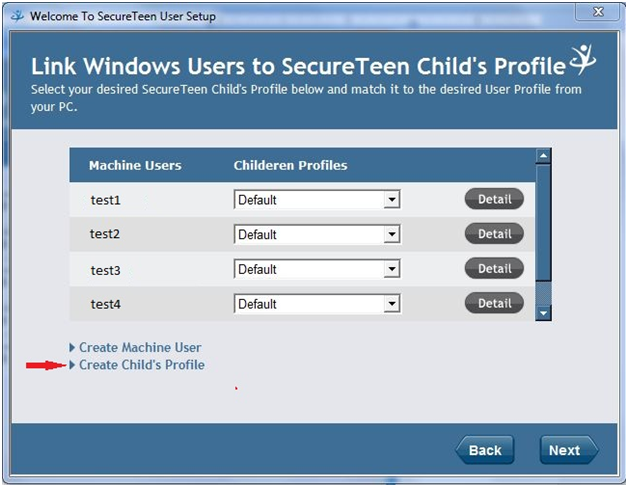 Link Child Screen during installation and device configuration.